One of the first applications I installed on my LG G Watch is Wear Mini Launcher. I know it is not the Google-approved way of launching apps on Android Wear, but I don't see myself talking to my watch in public or scrolling through a long list of commands to get to the Start menu. 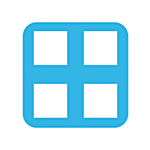 This third-party app offers a quick way to launch Wear apps and is being updated regularly to add more features. The latest update brings a dedicated Quick Settings drawer. To get to it, you swipe a second time from the top left after opening the regular drawer. The settings view will slide on top of the app icons. When you swipe from the opposite side, both settings and app drawers get closed. I found it a bit confusing at first, expecting it to bring me back to the app list, but quickly realized that it makes more sense than requiring two gestures. So what does this Quick Settings drawer bring? It has the brightness slider that was added in a previous update, along with three toggles for your phone: WiFi, sound, and bell. The WiFi toggle just switches it on and off on your phone. The sound button rotates your phone's volume between silent, vibrate, low volume, and high volume. The bell rings your phone with a small beep, so you can find it if you have lost it under the sofa cushions or dropped it nearby. A previous update added options to disable app labels and customize the drawer's background (I prefer the solid dark one), icon size, and column count (3 seems to be the sweet spot, but you can go from 2 to 6). 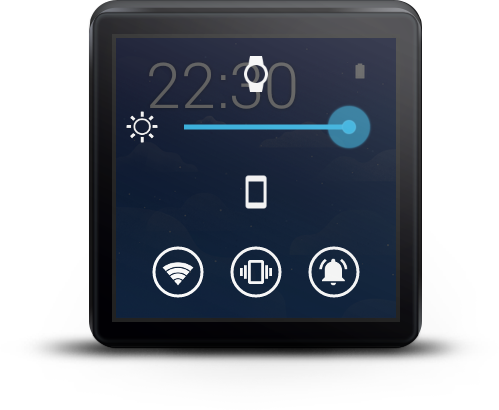 Wear Mini Launcher remains free in the Play Store and is worth a try if you own an LG G Watch or Samsung Gear Live.